I stopped into Michael's for some snail and white paper, and of course, I had to grab some other items. 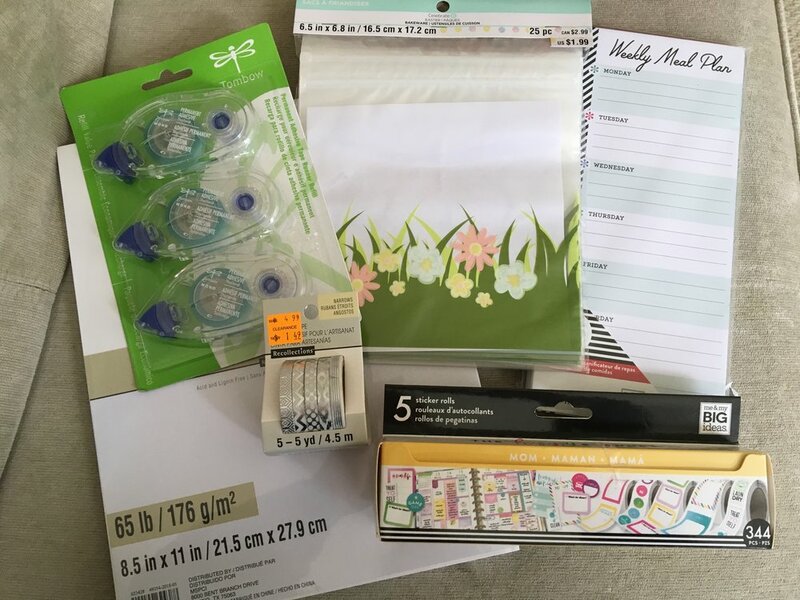 This time, I bought some treat bags for Bingo supplies, a Happy Planner meal plan insert, some clearance silver washi tape, and the Mom pack of stickers. I also grabbed some Easter basket fillers for the boys (not pictured). 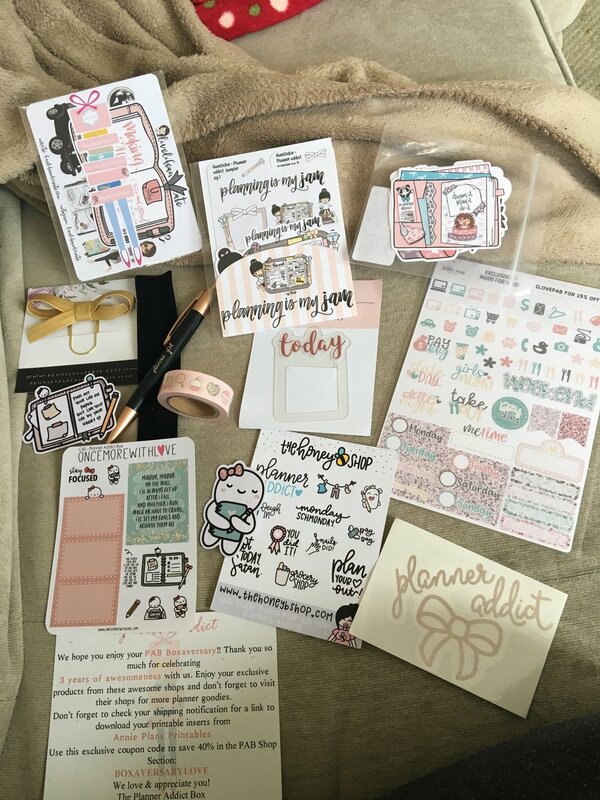 My Planner Addict 3rd Anniversary box came. Look at all the cute goodies!